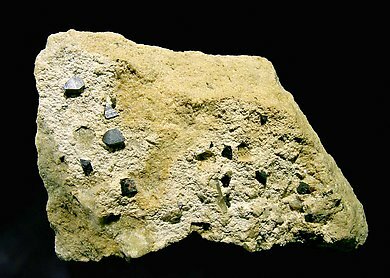 Crystals are small but very well defined and bright, black and delicately striated, having the simple forms of the dipyramid and spread out over a rocky matrix. 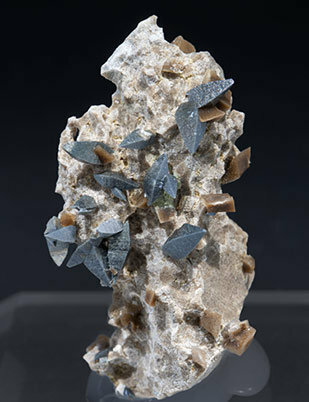 Groups of very small dipyramidal, very sharp and doubly terminated crystals, extraordinarily bright. They are on a matrix of small doubly terminated crystals of Quartz. 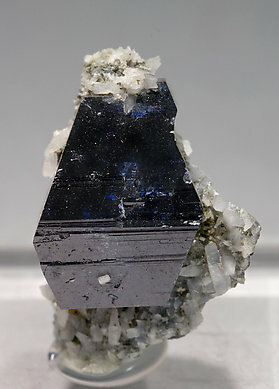 Dipyramidal, very sharp and doubly terminated crystal with small crystals of Brookite and Quartz, on matrix. The sample is with a label from the Comptoir Minéralogique & Géologique Suisse, of Geneva. Although the camera don't show it very well, the color is very nice, sort of a golden bronze, and its luster is very special with a lot of reflections. As with the other specimens that we had selected this one is floater, doubly terminated and great! 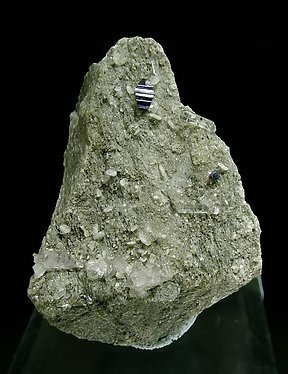 Free standing and well formed single crystal of Anatase with some other minor crystals as well. Very showy! Now accustomed to the Norwegian and Pakistani pieces, from time to time the market surprises us with a sample from an old and different source. 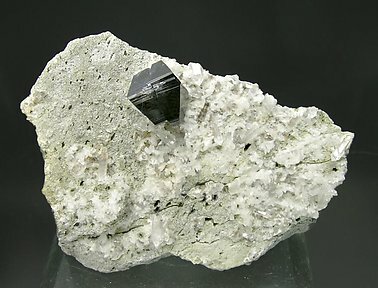 In this specimen we have two bipyramidal crystals, very sharp, black and bright, on a Quartz matrix with Muscovite inclusions. We add two labels. One of them, autographed, is from the old collection of L. Bardelli in Milan (num. 2308) the second one is more modern, coming from the Freiberger Bergakademie. 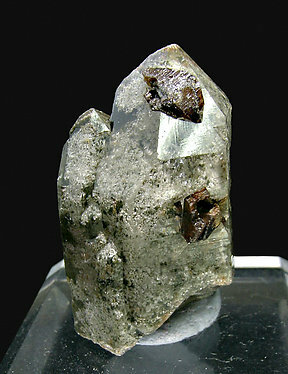 Very well positioned on a smoky Quartz crystal with Chlorite inclusions. 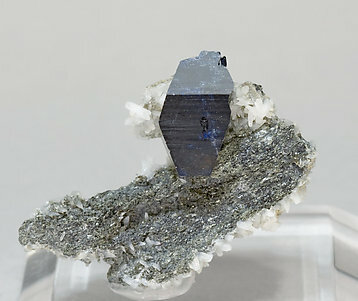 This Anatase crystal is doubly-terminated, bipyramidal, of considerable size, very sharp and bright, with dark blue color better seen when the sample is under intense light because it is partially transparent. From an accredited collection and we give the original label to the buyer of the piece. 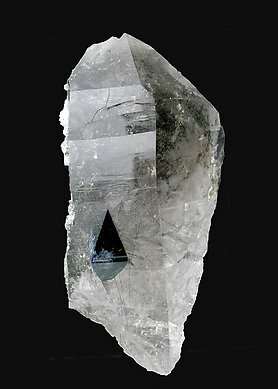 Very sharp dipyramidal crystal, on Albite matrix, of Anatase with its terminations truncated by the faces of the pinacoid. It is very bright and has very vivid blue reflections under a strong light. 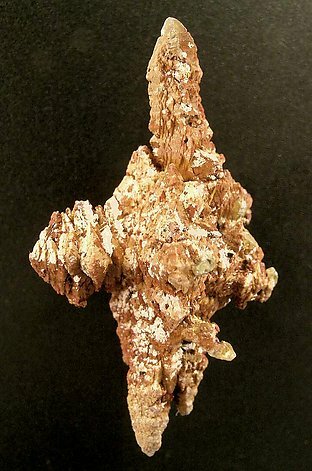 Doubly terminated aerial crystal formed by an acute dipyramid, with fine horizontal striations, and the double pinacoidal termination. 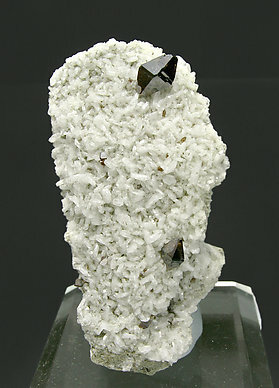 On matrix, with small crystals of Albite. 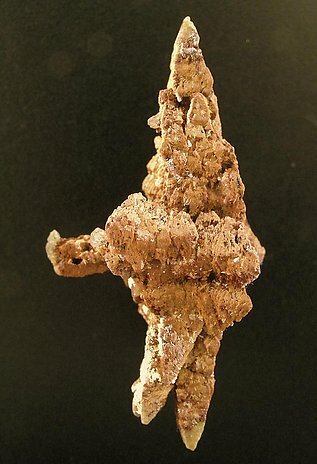 Very aerial doubly terminated crystal of Anatase of considerable size for the species, formed by an acute dipyramid with fine horizontal striations, and the double pinacoidal termination. 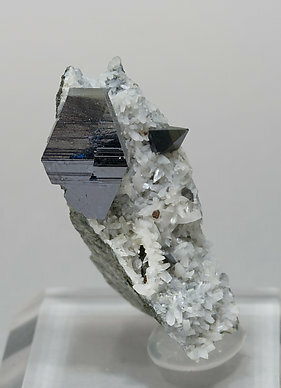 On matrix, with small crystals of Albite and minor crystals of Anatase with pointed acute terminations. 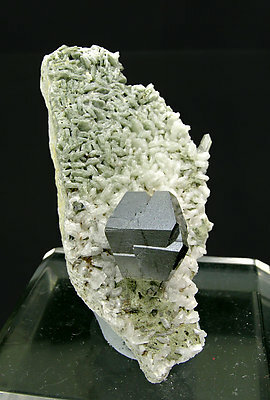 Sharp dipyramidal crystal of Anatase on an Albite matrix. Its termination is a sharp pinacoid. It is very bright and, what is extraordinarily unusual, it has a wide transparent area (easily visible with a light at the back) with reddish-brown color. Very acute dipyramidal crystals, two of them dominant, with excellent luster and a considerable transparency. 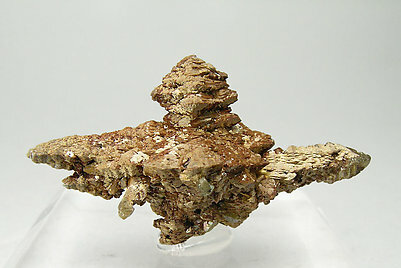 They are brown, an unusual color for the species, and are on a matrix of small crystals of Albite. Parallel growth of two dipyramidal crystals with flat pinacoidal terminations. Their luster is very good and they are black with bluish reflections. 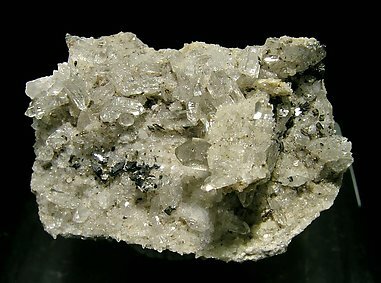 On matrix, with small crystals of Quartz and Albite. Parallel growth of four dipyramidal crystals with flat pinacoidal terminations. 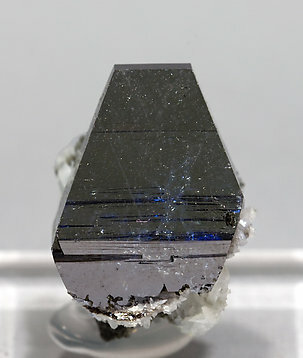 The crystal is black with bluish reflections. 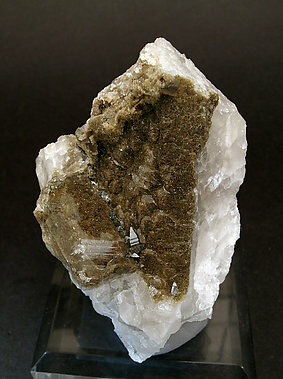 It is on a matrix of Quartz and Albite. Very acute dipyramidal Anatase crystals, most of them doubly terminated. 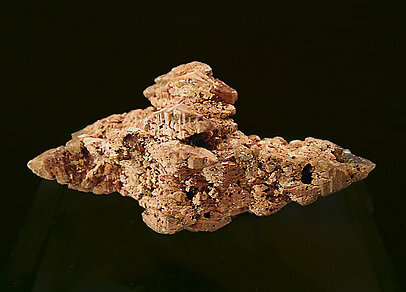 They are bright and are on a rocky matrix with small Orthoclase crystals (adularia variety) with brown inclusions. An Alpine classic. 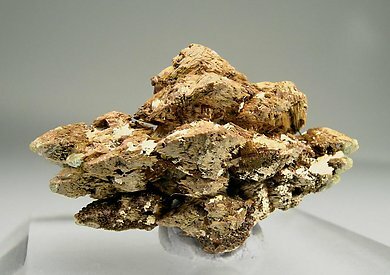 The locality is very uncommon for the species and the crystals, that form acute dipyramids, also have an uncommon color. 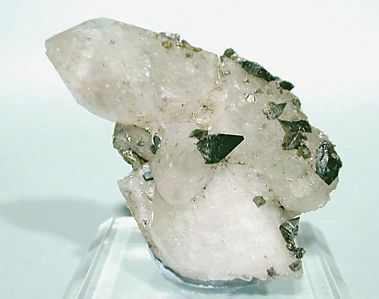 The matrix is a parallel growth of two Quartz crystals with abundant inclusions. 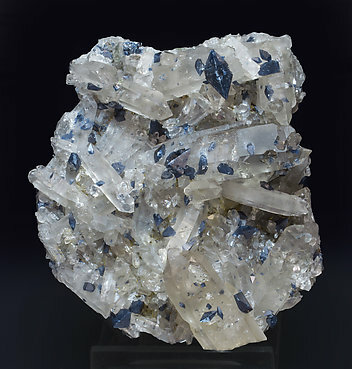 Very sharp Anatase crystals, a lot of them doubly terminated, very bright with bluish reflections and implanted on a matrix of slightly smoky Quartz crystals.